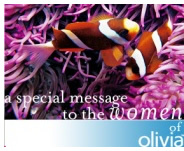 Join 1,275 of your closest Olivia friends at the ALL NEW, ALL-INCLUSIVE Hard Rock Hotel Los Cabos lesbian resort week! Located on the shores of Cabo San Lucas, the famed vacation hot spot where the Sea of Cortez meets the Pacific Ocean, where the desert melts into the sea, and where the sky illuminates at sunset. Relax on the sun-soaked beach, enjoy a beverage at the swim-up bar, dine in a different restaurant nightly and enjoy a spectacular week of all-inclusive fun. You’ll enjoy Hard Rock Hotel Los Cabos luxurious accommodations for eight days and seven nights, five pools, eight dining venues, four bars (featuring top-shelf liquor, beer wine, and soft drinks), personalized beach and pool service, round-trip airport transfers, and more! Take in the scenery on this 10 day/ 9 night all-lesbian luxury cruise to Japan, on board Windstar’s ms Star Legend. An incredible and unique cruise that will start in San Juan, visit the Caribbean Islands, continue with a stop in Bermuda and end in New York. If you love nature, this all-lesbian summer cruise is for you! You'll see abundant wildlife, magnificent glaciers & breathtaking mountains. A true bucket list trip! Iceland is known for its dramatic volcanic landscape of geysers, hot springs, waterfalls, and glaciers. Olivia brings you the BEST of the Mediterranean as we travel in luxury, exploring the hidden treasures of Italy and ending in Monte Carlo. Have you ever dreamed of driving down the Pacific Coast? Or sailing into San Francisco underneath the Golden Gate Bridge? There's no shortage of maritime history, Gothic castles and ginger locks in this part of the world. Wind Surf Westen Europe all-lesbian sailing. Explore Mediterranean wonders during this inspiring 7-night luxury lesbian cruise from/to Athens, with stops in Cyprus, Israel & Santorini. All-Inclusive Dreams Tulum provides upscale beachfront surroundings combining fun and relaxation with the ancient world of the Maya. Join 1,275 of your closest Olivia friends at the ALL NEW, ALL-INCLUSIVE Hard Rock Hotel Los Cabos Mexico lesbian resort week! The Hard Rock Hotel Vallarta is a stunning beachfront getaway on Mexico’s Pacific coast, near Mexico’s most gay and lesbian friendly city. Join us for an incredible all-lesbian journey to Machu Picchu. Extend your time and join us for wonderful journey to Peru. 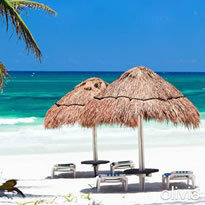 For those of you who prefer to keep your feet on the ground, Olivia engages entire resorts for your pleasure. It's a sterling opportunity to make new friends, see the sights and participate in a wide range of sports and activities. The best part is you control the pace of your resort vacation. Take a daylong tour, a sunset cruise or bask in the sun poolside. Go kayaking, snorkeling or deep sea fishing. Stroll along the beach, play a round of golf or pamper yourself with a massage. Our nightly entertainment brings it all together with the best our community has to offer. Try out for our talent show, test your relationship acumen in our "Newlywed/Oldywed Game" or stake out a beach chair for a nap in the sun. It's your dream vacation, designed just for you. Located on a secluded sugar-white sand beach in the Riviera Maya, the AAA Four Diamond, award-winning, ALL-INCLUSIVE Dreams Tulum Resort & Spa provides upscale beachfront surroundings combining fun and relaxation with the ancient world of the Maya. Just south of Cancún, it is one of the only resorts in the Riviera Maya located a short distance to the exciting town and ancient ruins of Tulum and Xel-Ha Aqua Adventure Park. With its magnificent colonial architecture, original paintings and ambiance, this resort provides the perfect setting to unwind and discover the mystical power of the ancient Mayan civilization. This hacienda-style, Unlimited-Luxury® resort features graciously appointed spacious rooms and suites, a luxurious spa, exciting land and water sports, two swimming pools, nine gourmet restaurants, seven fabulous bars, our signature entertainment and programming, and more! 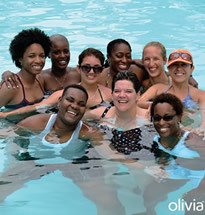 Get ready to meet Olivians from around the world and reconnect with those who mean the world to you! Experience the many pleasures of Dreams Tulum Resort & Spa Unlimited-Luxury® offering you an elevated all-inclusive experience, where most everything is included. Dine in any one of the six à la carte restaurants, the buffet, the café or the grill. Sip a frozen margarita, discover a new wine perfectly matched with your meal or let a mixologist create a signature cocktail for you in any of the seven bars or lounges. Sit back and enjoy pool and beach wait service or pamper yourself in the world-class spa. 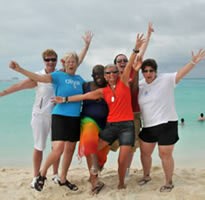 Join 1,275 of your closest Olivia friends at the ALL NEW, ALL-INCLUSIVE Hard Rock Hotel Los Cabos lesbian resort week! Located on the shores of Cabo San Lucas, the famed vacation hot spot where the Sea of Cortez meets the Pacific Ocean. Relax on the sun-soaked beach, enjoy a beverage at the swim-up bar, dine in a different restaurant nightly and enjoy a spectacular week of all-inclusive fun. 700 lesbians, All Inclusive accommodations, an incredible entertainment lineup at this stunning beachfront getaway in Puerto Vallarta. We're taking over the entire resort so you can be out and free! Showcases by day and stellar music, comedy and DJ performances by night. 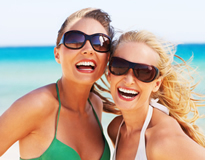 Live like a rock star on vacation! 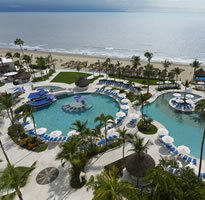 Indulge yourself in all of life's pleasures at the ALL-INCLUSIVE Hard Rock Hotel Vallarta! 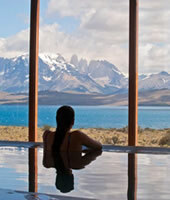 We’re going to Patagonia - Tierra Resort’s ALL-INCLUSIVE Adventure & Spa Hotel! 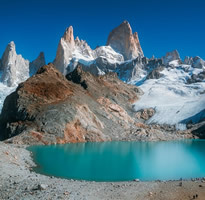 Emerging beside craggy mountains and the glistening Lake Sarmiento in Torres del Paine National Park, Tierra Patagonia’s architecture is beautifully integrated with the landscape, blending into the magnificence of the region. Located on the breathtaking island of Hispaniola, our all-inclusive Club Med Punta Cana resort welcomes the women of Olivia for an unforgettable vacation. Partake in a plethora of unique activities alongside a stunning panoramic stretch of turquoise beach. 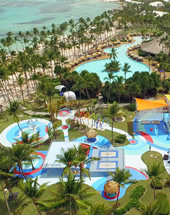 Leisure, fun, or sun, no matter what you’re craving, this resort is sure to have it! Get ready to meet Olivians from around the world and reconnect with those who mean the world to you!